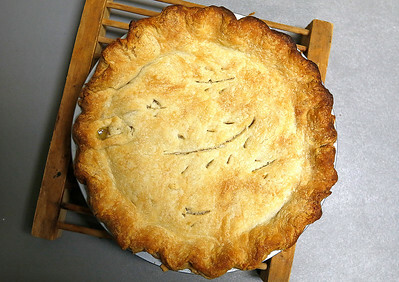 H. Rick Bamman - hbamman@shawmedia.com A peach pie for First United Methodist Church of McHenry's mission fundraiser cools. 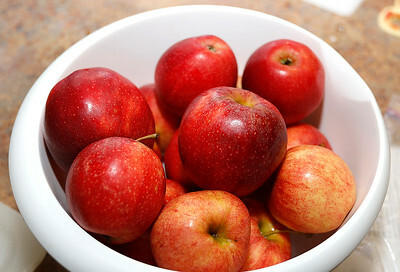 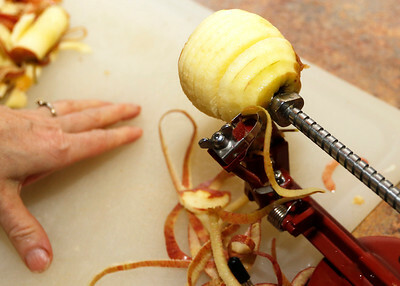 H. Rick Bamman - hbamman@shawmedia.com Apples await pealing for pies for the First United Methodist Church of McHenry's mission fundraiser. 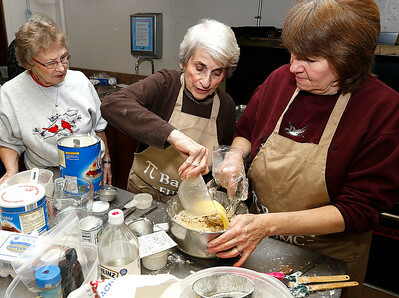 H. Rick Bamman - hbamman@shawmedia.com First United Methodist Church ladies from left Judy Klotz, Eileen Lane and Bonnie Rudolph work to make pie crust for over 15 pies the group was making to benifit the church's mission fundraiser. 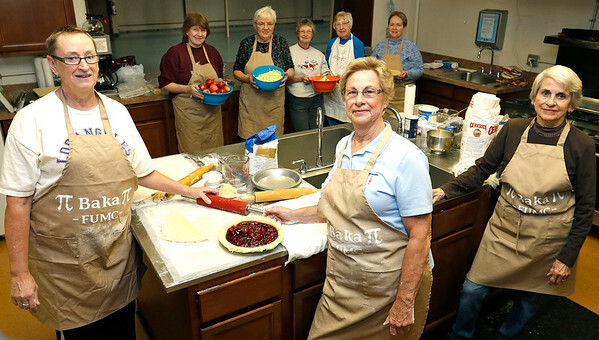 H. Rick Bamman - hbamman@shawmedia.com First United Methodist Church of McHenry pie makers (back from left) Bonnie Rudolph, Carol Regul, Judy Klotz, Helen Brown, and Trish Eiserman. 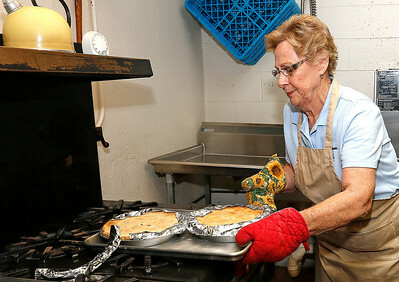 (Front from left) Sue Blake, Linda Hastings Eileen Lane in the church's kitchen on Friday, Nov. 20, 2015. 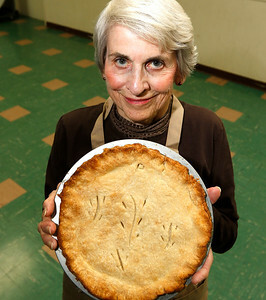 H. Rick Bamman - hbamman@shawmedia.com First United Methodist Church of McHenry pie baker Linda Hastings readies oies for cooling.